Yesterday I got my washi tape organizer/keeper and I can just fit all my washi tapes into it. If I get more tape I'm in trouble, as you can see by how I had to squeeze some of the skinny ones in. 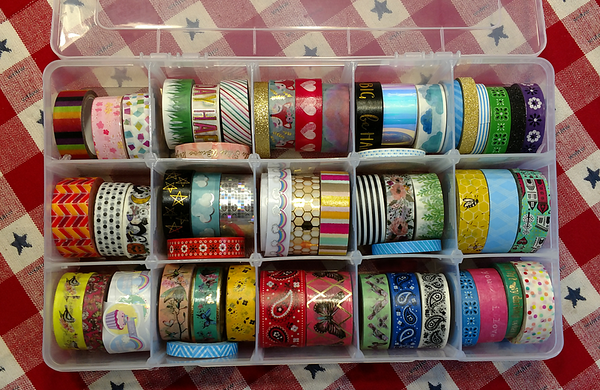 No, I don't need more washi tape... but there's always more cool washi to get! Technically, 2 of these are rolls of stickers, but they're all one giant sticker on a roll that you cut to fit, and where else am I going to put them? This entry was originally posted at https://laridian.dreamwidth.org/2945839.html. Please comment there using OpenID.